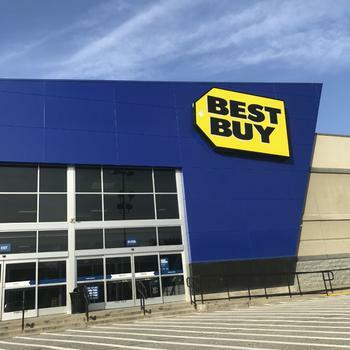 Mounting security concerns have detoured the electronics manufacturer’s inroads to the U.S.
Best Buy is the latest to banish Huawei phones from its shelves. In January, both AT&T and Verizon announced they were doing the same out of concerns from the CIA, FBI, and NSA that Huawei might be utilizing its phones to harvest sensitive data to pass along to the Chinese government. The retailer will also pull Huawei’s smartwatches and laptops from its inventory as well. The growing concern over U.S.-directed security threats was first raised by Congress’ Permanent Select Committee on Intelligence in 2012. The committee’s warning was blunt: Consumers have a “growing dependence” on a small group of equipment providers and China has the means, opportunity, and motive to use telecommunications companies for malicious purposes. With Best Buy, AT&T, and Verizon out of the picture, consumers looking to buy Huawei’s new Mate 10 Pro have relatively few options left. A ConsumerAffairs survey of the market showed that the Mate 10 was still available at Amazon, eBay, and Huawei’s own online store, but that was about it. At this juncture, it’s difficult to forecast how taking Huawei out of the retail picture might impact competitors’ prices with one less rival in the mix. Who is Huawei and why should consumers be concerned? Huawei Technologies is China’s largest telephone-network equipment maker and one of the world's largest telecom equipment makers. The company’s global footprint is impressive. It moved more than 153 million handsets in 2017, making it the most successful Chinese brand and in the same league as Samsung and Apple. While American consumers might not recognize the name as a brand, many of the phones they use -- such as T-Mobile, TalkTalk, and Motorola -- employ Huawei’s mechanisms. The security concerns that Congress has raised tie directly to Huawei’s founder, Ren Zhengfei, who was an engineer in Chinese People's Liberation Army in the early 1980s. In 1994, Zhengfei convinced the Chinese government that international security is linked to switching equipment technology and “that a nation that did not have its own switching equipment was like one that lacked its own military." The Chinese government reportedly agreed with this assessment and signed a deal with Huawei to build China’s first national telecommunications network. Congress has had their eye on Huawei’s desire to establish a presence in the U.S. for a while. In 2008, some members raised questions about the company's proposed merger with 3Com. Concerns over the company’s bid for a Sprint contract were also voiced in 2010. Following a review by the U.S. Committee on Foreign Investment, Huawei decided to back off on its purchase of 3Leaf systems in 2010.